Date: 7.03.2018 | House, Techno | Tags: Blu 9, Underscorer, R.Y.U, DJ Lugo, Sergio Pardo, Melissa Nikita, Theomatik, Opium Muzik | Download Opium 4Th Label Anniversary (2018) for free. 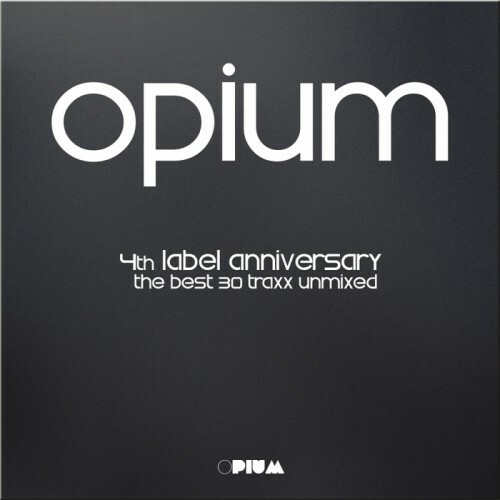 For the fourth Anniversary, Opium Muzik Presents a Fantastic Collection of 30 Unmixed Traxx. do not miss this wonderful box! Blu 9 comes out on 2018 Opium Muzik gives us this beautiful project. Walk and sing,and pursued many loves impossible.Great work by our Underscorer, includes Jean Aita Remix. R.Y.U Return in family with a wonderful Deep with his unmistakable imprint! Underscorer is an Eclectic Music Project Club.Melody mixed with elettro Sound Element, Created by Gianni Calo, Resident DJ in Milan and in various European Club. Welcome a special artist who comes from Rome KoZY at this time rides among the best Techno labels around like Funk and Deep, Punk Traxx, happy to have you as a family.